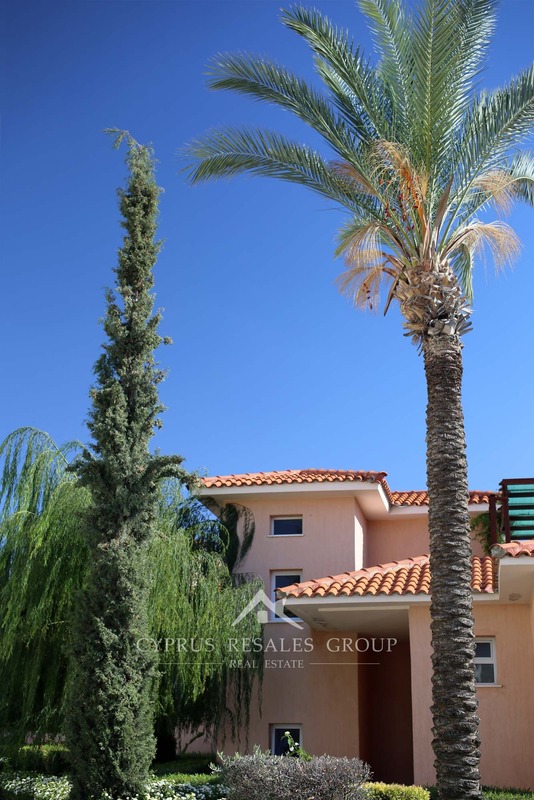 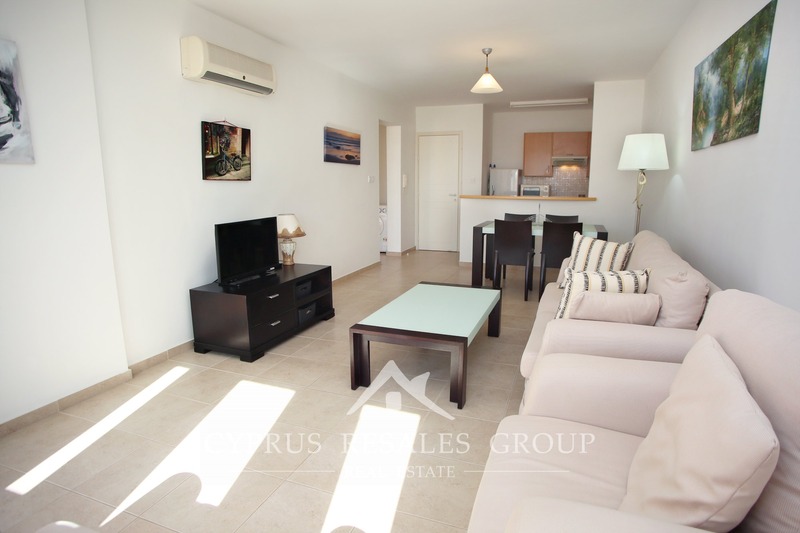 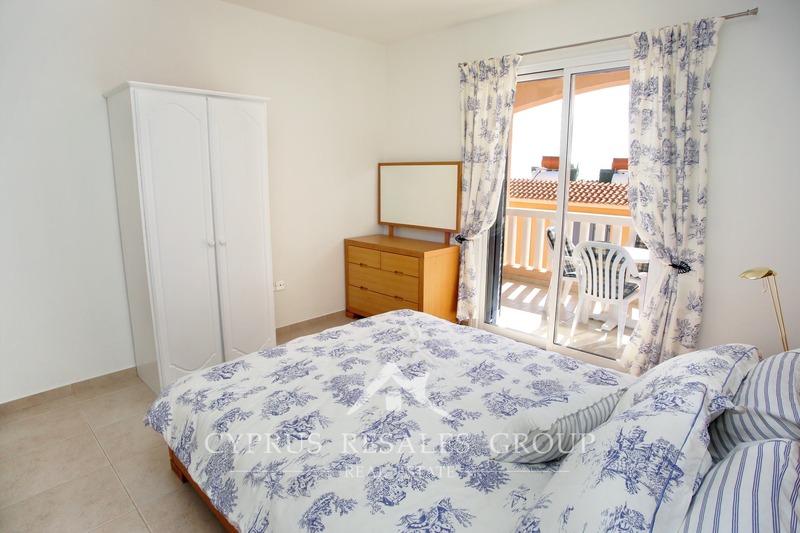 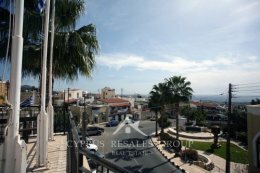 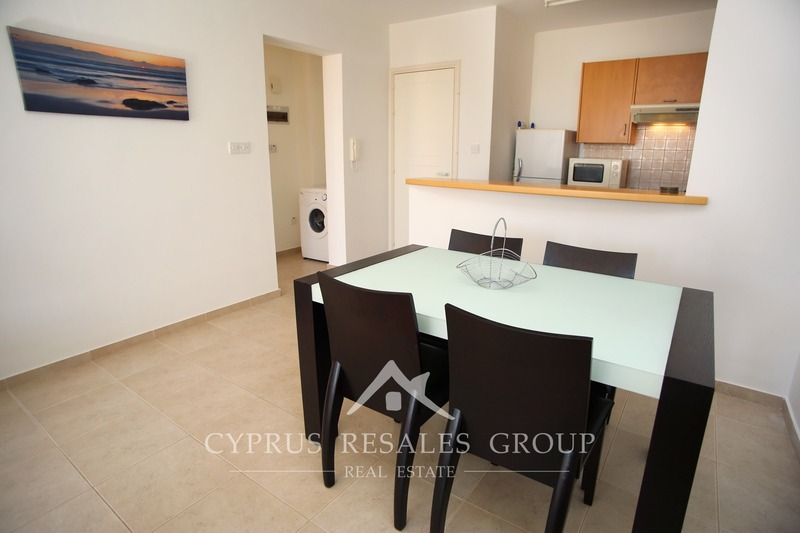 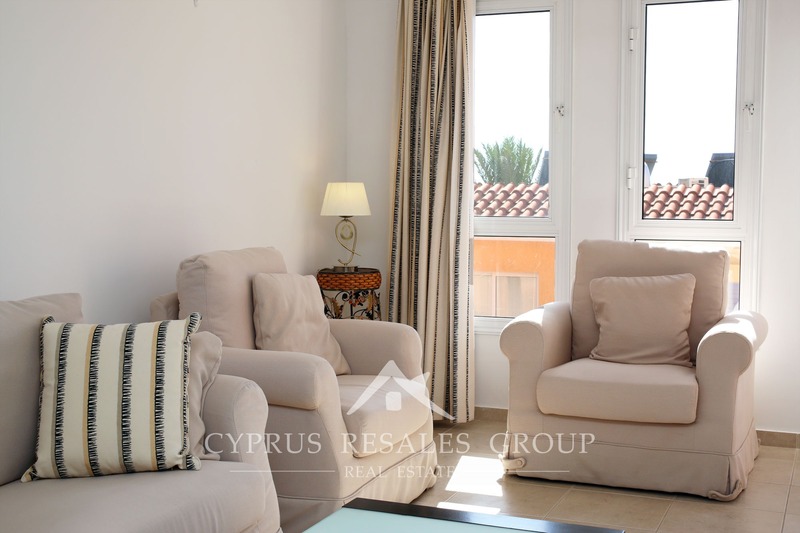 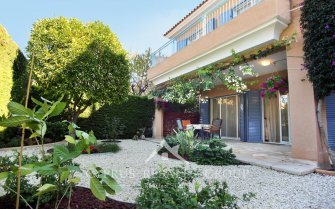 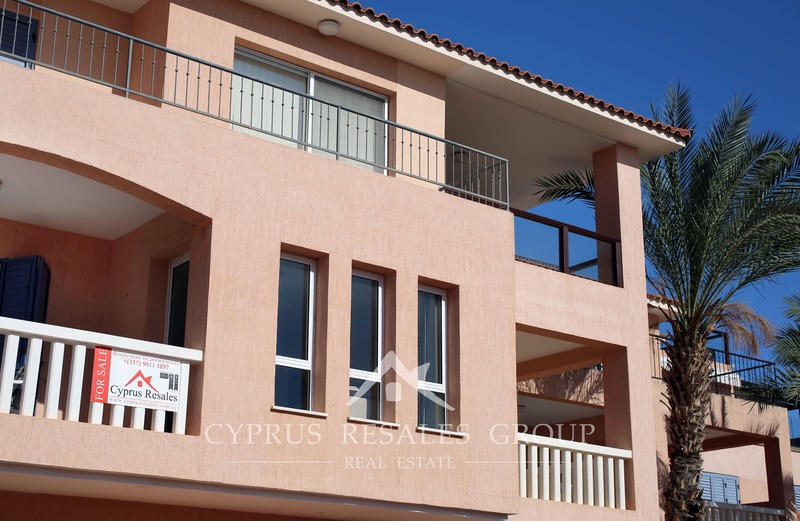 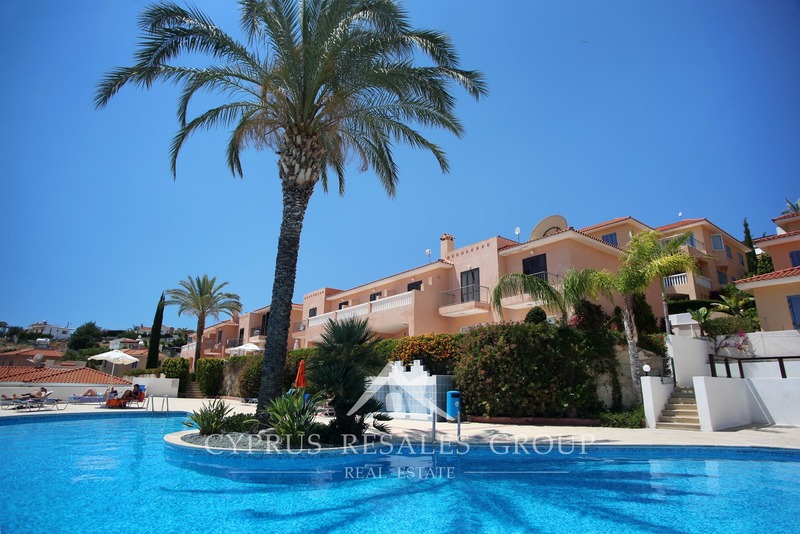 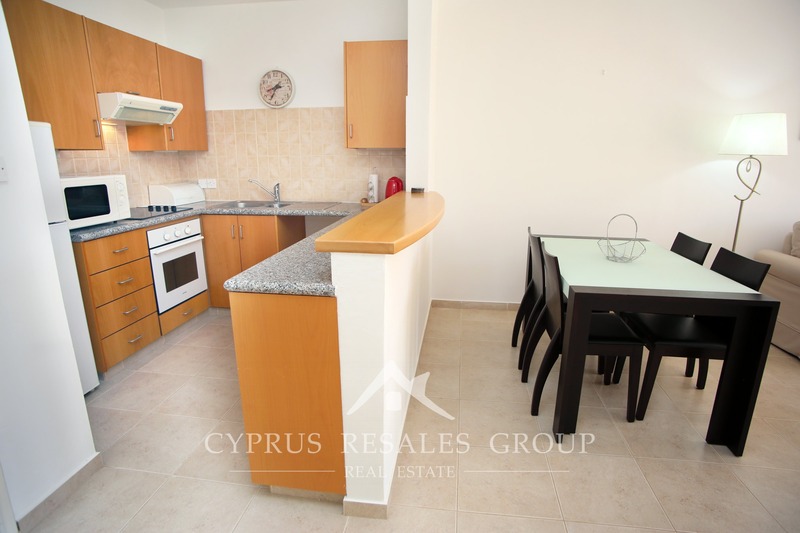 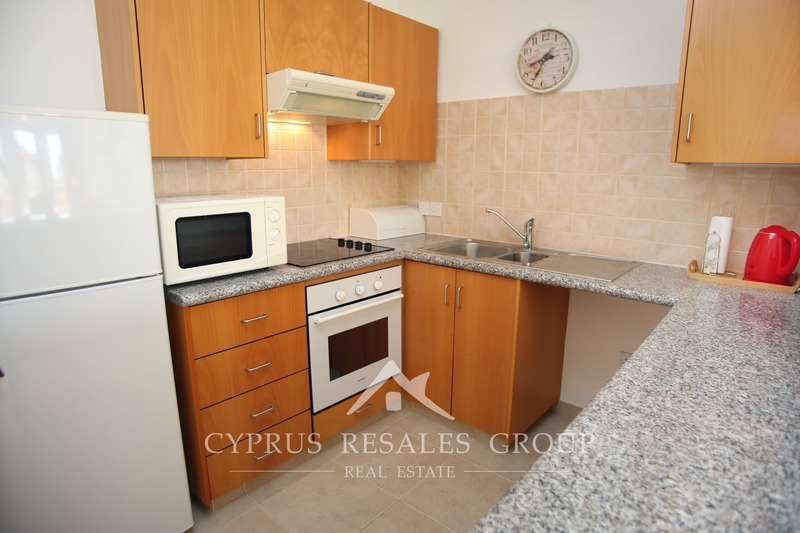 Apartment for sale in Peyia | 1 Bedroom Flat in Pafilia Desire Gardens for sale. 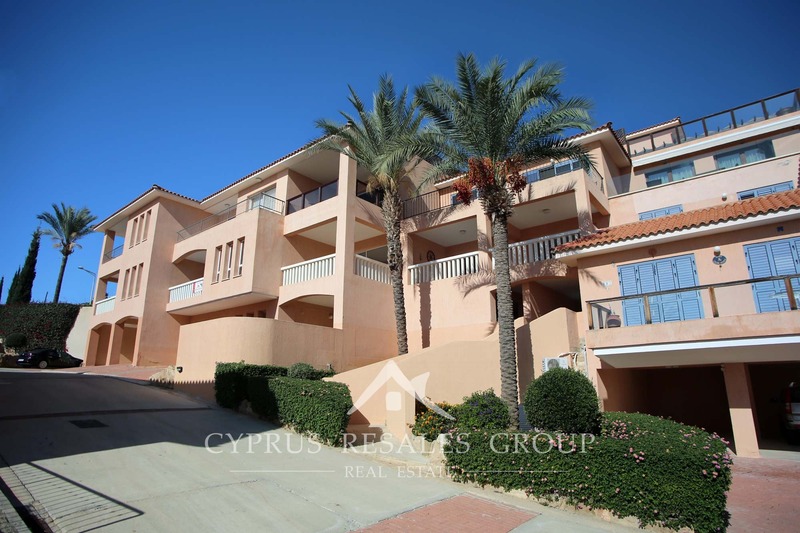 Excellent opportunity to buy a large 1-bedroom apartment in the prestigious Pafilia development “Desire Gardens”. 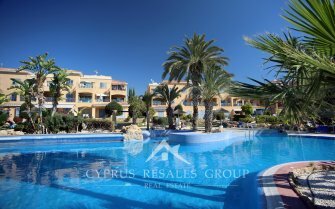 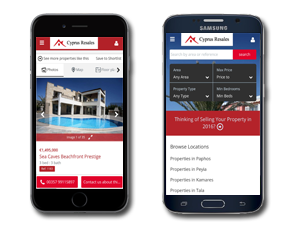 Central location Peyia benefits easy reach of Peyia village square and the Blue Flag sandy beaches of Coral Bay. 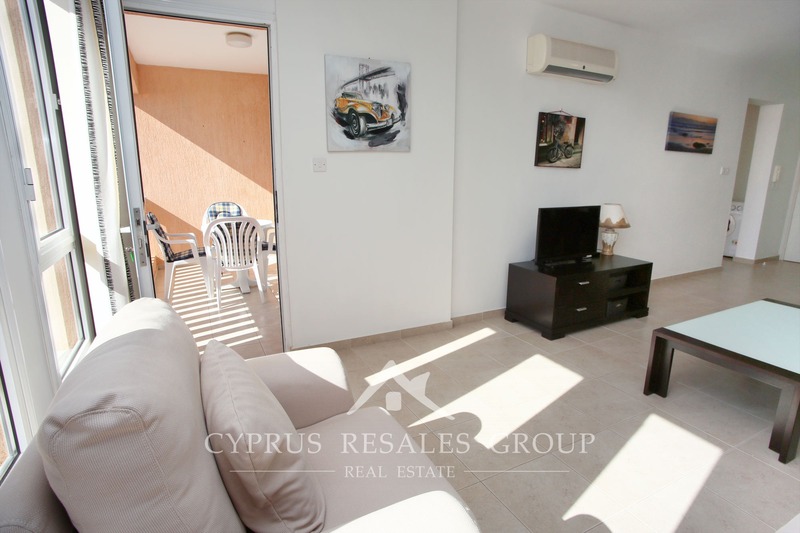 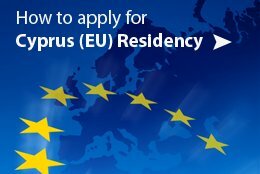 Paphos town is a 10 minutes’ drive and is also easily accessible through the excellent public bus service. 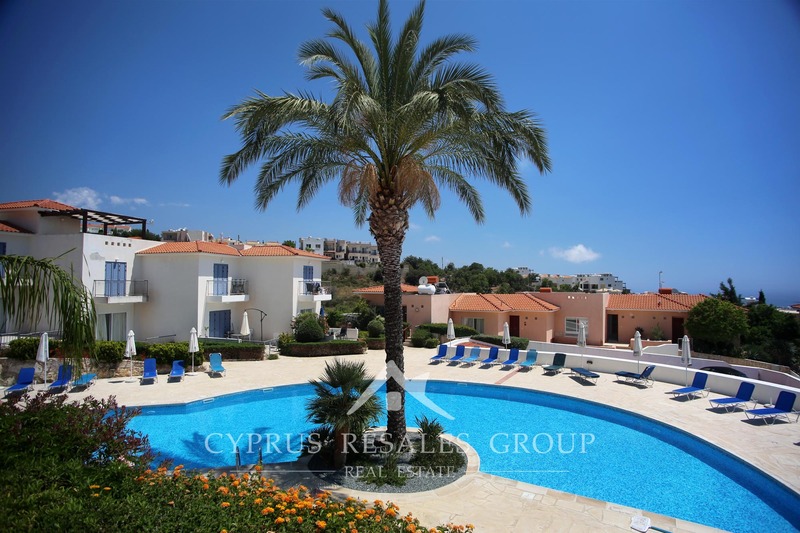 Centered around a large feature common swimming pool Desire Gardens is one of the best development projects in Peyia. 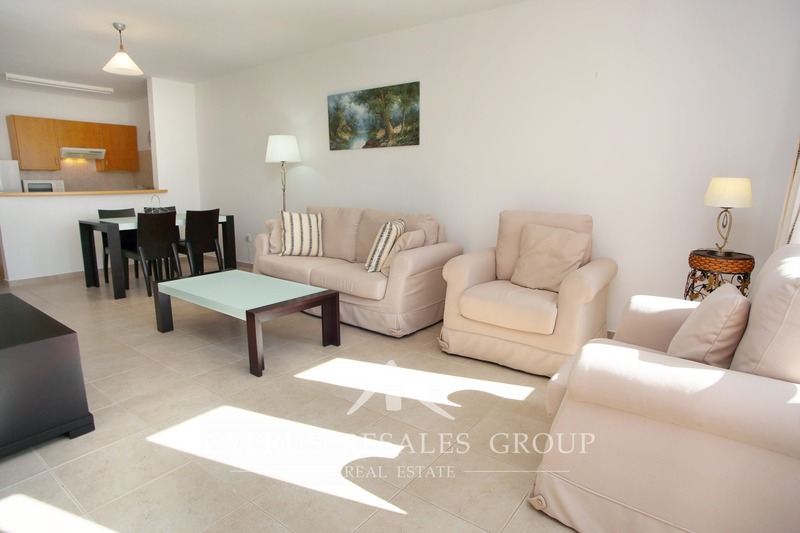 This spacious 1st floor apartment is located towards the rear of the project on a quiet private road. 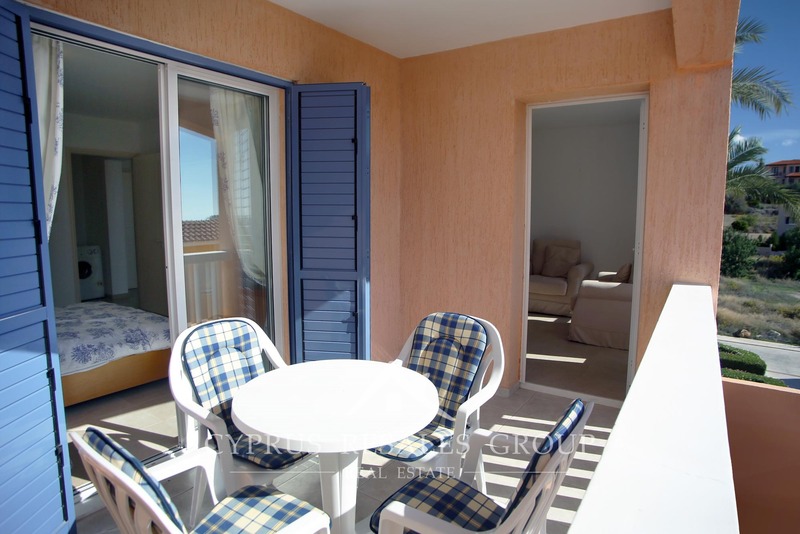 Inside, at over 70 sq.m. 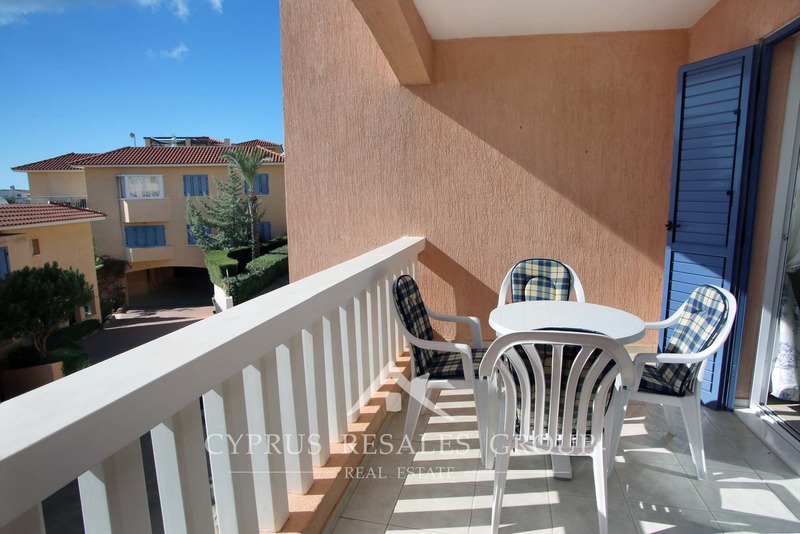 of covered area this apartment is close to the size of many 2-bedroom properties and further more is presented in an excellent decorative order. 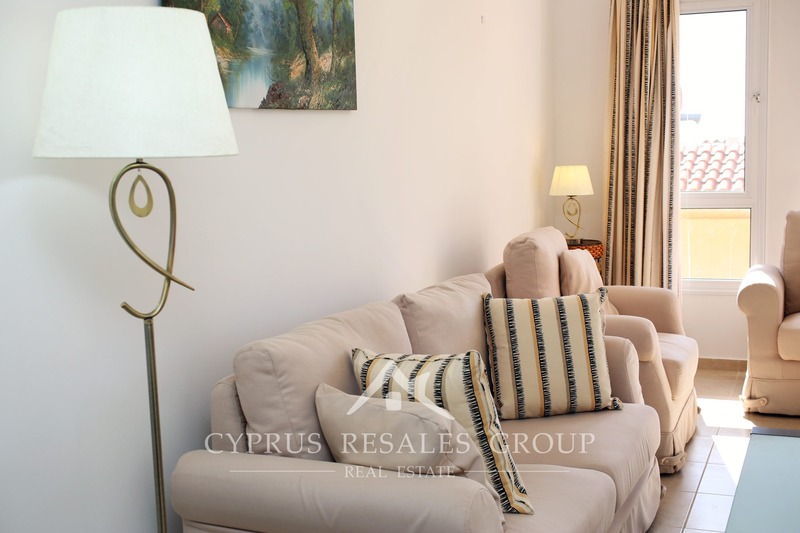 This charming property benefits an original architectural feature in the lounge – three tall windows, that allow for plenty of natural light. 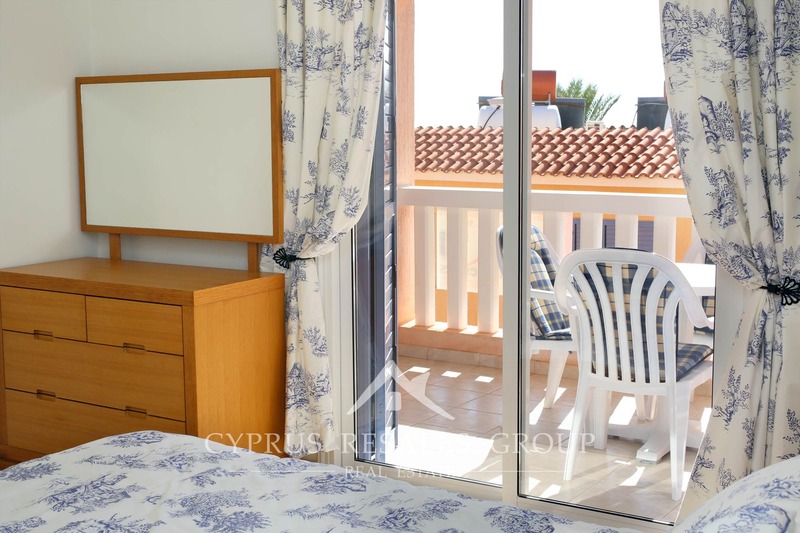 A glass paneled side door leads to the covered veranda that can also be accessed through the large double bedroom. 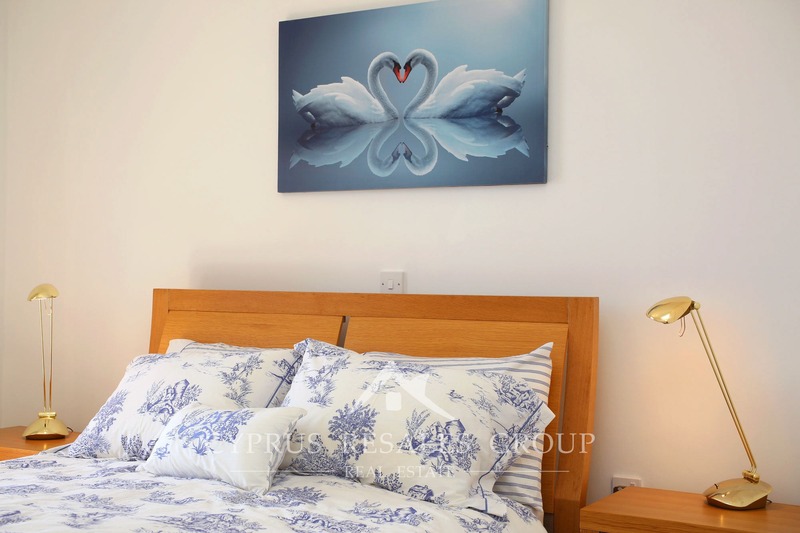 Bright and welcoming bedroom comes with both – a free standing and build-in wardrobes. 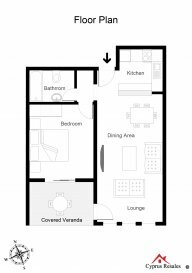 Tidy hall benefits a tidy layout that accommodates a washing machine next to the family bathroom, leaving space for a dishwasher in the modern kitchen. 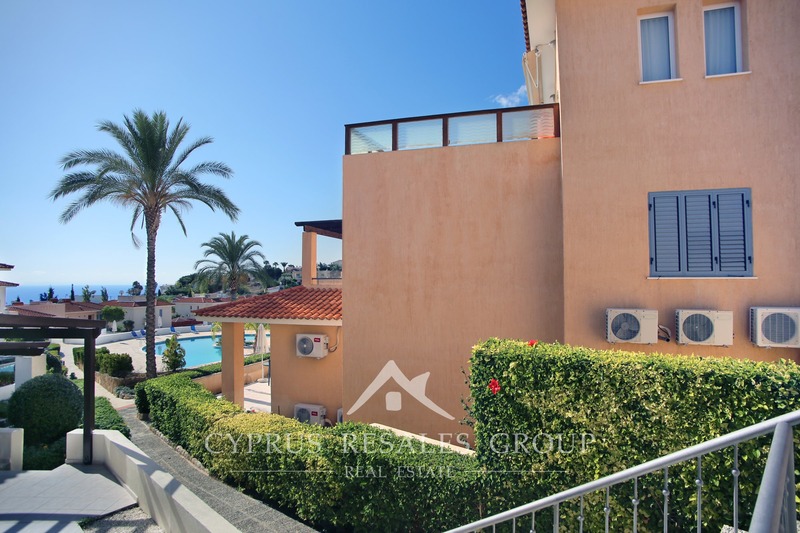 A lovely bright property with a southerly aspect and priced to sell fast.